Hashima, an island located in Nagasaki Bay, is better known as Warship Island (Gunkanshima). The island was inhabited until the end of the 19th century, when it was discovered that the ground below it held tons of coal. The island soon became a center of a major mining complex owned by Mitsubishi Corporation. As the complex expanded, rock brought out of the shafts was used to artificially expand the island. 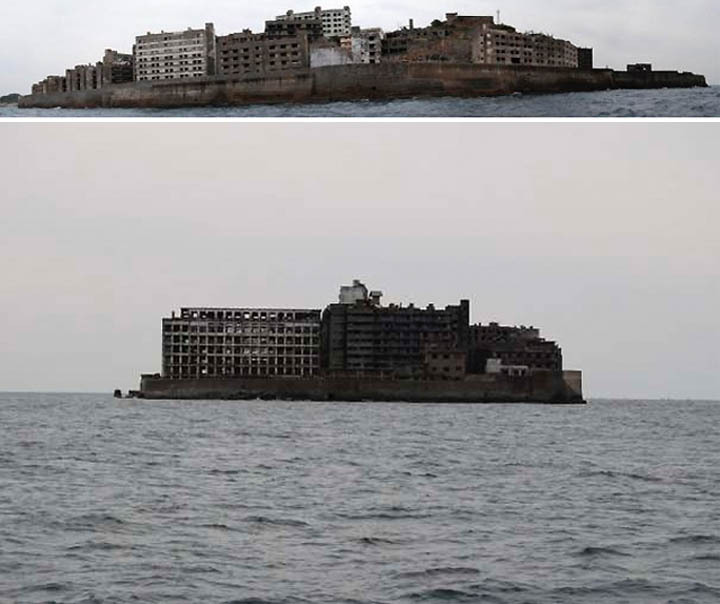 Seawalls created in this expansion turned Hashima into the monstrous looking Gunkanshima; its artificial appearance makes it looks more like a battleship than an island. In startling closing arguments last September, Mitsubishi issued a blanket denial of historical facts routinely recognized by other Japanese courts, while heaping criticism on the Tokyo Trials and openly questioning whether Japan ever “invaded” China at all. Mitsubishi has ominously warned that a redress award for the elderly Chinese plaintiffs, or even a court finding that forced labor occurred, would saddle Japan with a “mistaken burden of the soul” for hundreds of years. Pretty ridiculous. I could write a rant about how Mitsubishi should admit the truth and apologize/pay its former laborers, but it the article I linked above gives a better account of that issue. 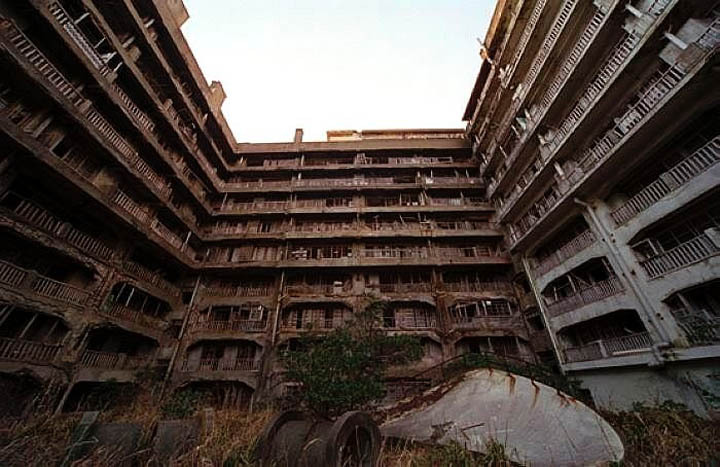 Instead, I will post write about Hashima. 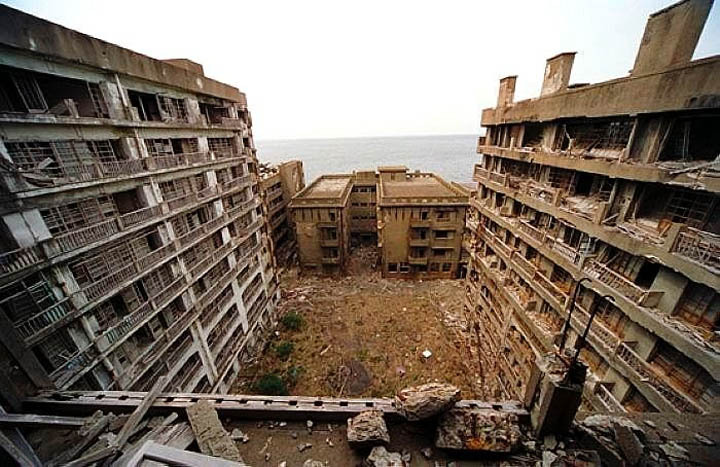 nordanstad - The first film, shot in 2002, of the mysterious island Hashima (Gunkanjima). We follow Dotokou, who grew up on the island, and wants it to become a "museum"
Eventually the mine was depleted, and the island was abandoned in 1974. Setting foot on the island is prohibited, but occasionally photographers go there to explore the abandoned buildings and take pictures. 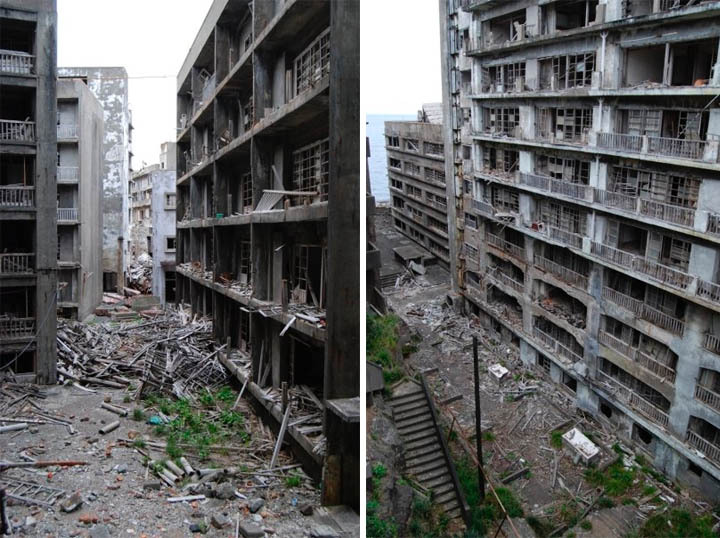 These days the only things that land on Hashima Island are the shits of passing seagulls. 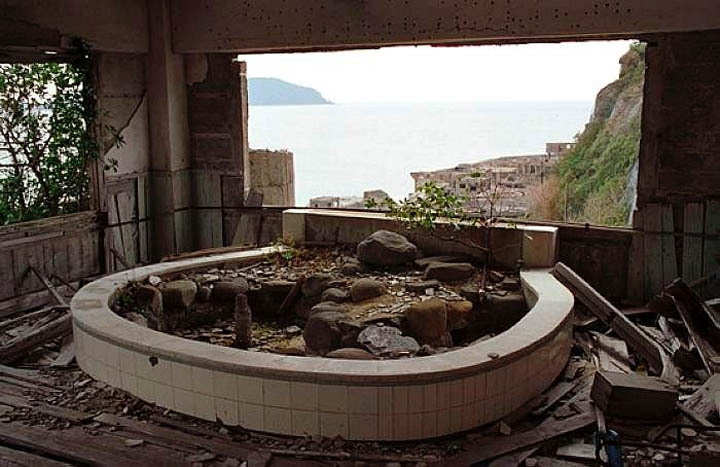 An hour or so’s sail from the port of Nagasaki, the abandoned island silently crumbles. 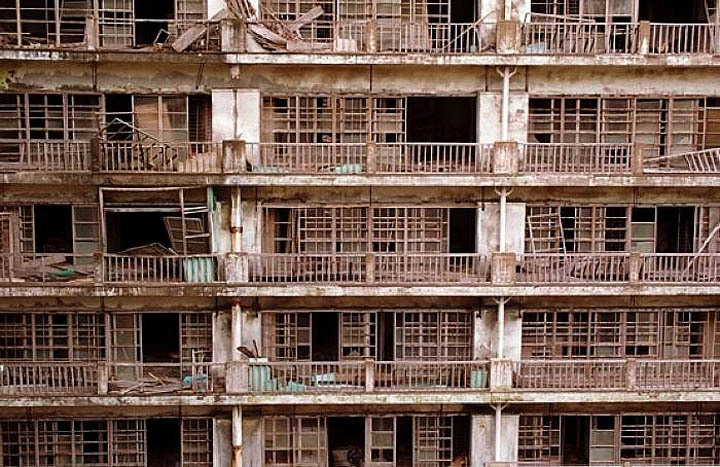 A former coal mining facility owned by Mitsubishi Motors, it was once the most densely populated place on earth, packing over 13,000 people into each square kilometre of its residential high-risers. It operated from 1887 until 1974, after which the coal industry fell into decline and the mines were shut for good. With their jobs gone and no other reason to stay in this mini urban nightmare, almost overnight the entire population fled back to the mainland, leaving most of their stuff behind to rot. Today it is illegal to go anywhere near the place as it’s beyond restoration and totally unsafe. The Japanese Government aren’t keen to draw unwanted attention to this testament to the hardship of the country’s post-war industrial revolution either. 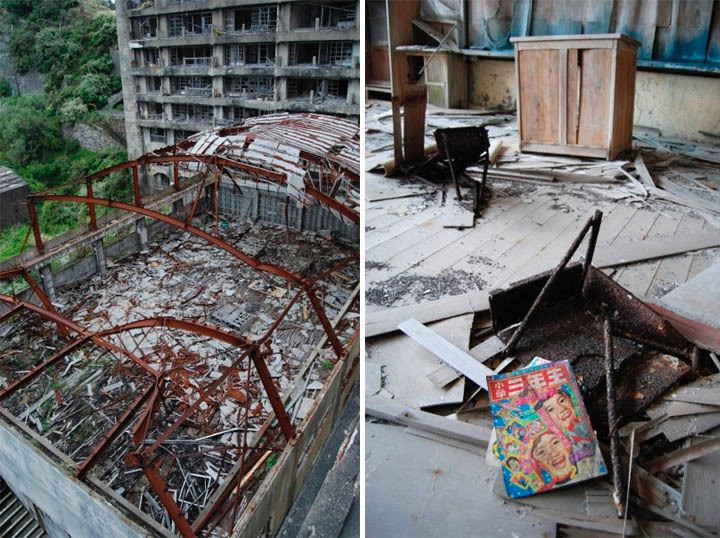 The punishment for being caught visiting Hashima Island is 30 days in prison followed by immediate deportation. 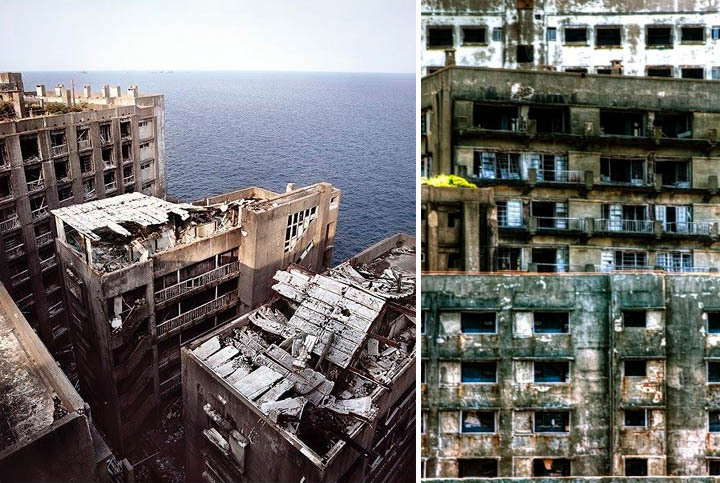 But the other week, after getting up before sunrise and cutting a secret deal with a local fisherman, some friends and I landed on Hashima Island. The port of Nagasaki is an international fare where you’re more likely to find granny-laden cruise ships and large oil tankers filling the docks than buck-toothed fisherman willing to break the law for a few extra bob, so we took the early morning ferry to the still-inhabited Takashima, the closest island to Hashima. After asking around – and being politely turned away by every Japanese we mentioned it to – finally we found our man. The rules of Japanese politeness dictate you never say what you want directly, so even once we were aboard the boat we weren’t sure we were actually going to set foot on Hashima – we’d only agreed for our fisherman to take us close enough to see it. Bobbing into view, the grey seawall’s artificial angling of the island gives it the shape of a battleship – hence its Japanese name in popular mythology, “Gunkanjima” - Battleship Island. In some areas the entire façades of buildings had fallen to the ground, revealing grids of homes, each exposed with their 70s television sets smashed after the TV stands had eroded away. It was difficult to gauge exactly what it might have been like to live here, although with the complete lack of outdoors space and the prison-like seawall keeping you in, I can’t imagine it to have been anything other than claustrophobic, uncomfortable, and a bit like living in an ant farm. Personal artefacts lay littered everywhere – old shoes, bottles of shampoo, newspapers and even posters left on teenagers’ walls – these were the most vivid clues that people had once been here.